What a joy this book was to read! I had no expectations going into it, and was hooked from the outset. We are quickly introduced to Isabel Creston, 20 years old, living at a school whose rules she cannot quite seem to follow and immediately bringing to mind Jane Eyre and Lowood School. 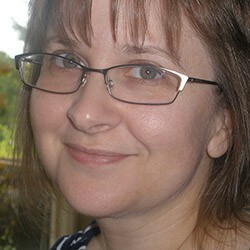 But Isabel is the guardian of her 8 year old half-sister Lizzie and does not get to go off to a governess position. Instead, she is taken in by relatives and some of the more Regency/Jane Austen aspects of the story (could the Aunt start off being any more Austen mother-ish?) begin to appear. 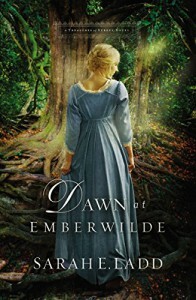 One would think this would brighten the story, and it does to some extent, but the gothic elements abound as Isabel discovers on her journey to and life at her Aunt and Uncle's home of Emberwilde Hall. The forest in particular is a place no young lady should venture, but venture there she does and, again reminiscent of Jane Eyre and other gothic tales, meets with mischief while, in the more Austen-esque feeling portions of the novel, considering the advantages and desirability (or lack thereof) of more than one eligible male. The villains are a bit dastardly, not everyone is quite who they appear to be, the heroine is likable and the hero is a man she can admire. Highly recommended for those who like slightly rebellious Regency heroines, Gothic story elements, and thoroughly enjoyable Historical Christian Romance. Review copy provided by The Fiction Guild and Thomas Nelson, publisher.